Moisturising Sandalwood Body Wash - Ayuuri Very sorry - this item is currently out of stock. Moisturising Sandalwood Face Cream - Ayuuri Very sorry - this item is currently out of stock. 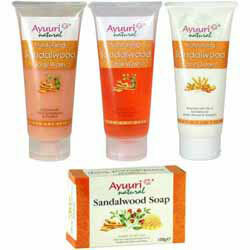 Sandalwood Soap - Ayuuri Very sorry - this item is currently out of stock.